In relationships, one would definitely have an angry partner because there would be times you both would have an understanding. I do not think there’s anyone that can do away with anger because we are all bound to get angry at one point or the other. Right? Knowing fully well that getting angry is a part of life, how do you appease an angry partner when situations arise? In your relationship, have there been times when you offended your partner and didn’t know how to appease him or her? I am sure there have been as I suppose so many people might have this same issue. 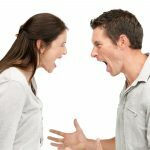 In this article, you will learn some useful tips on how you can appease an angry partner in a relationship. Some people do not like hearing the words “I am sorry,” after a deed has been done. But nevertheless, do not hesitate to utter those words when next you annoy your partner. He or she may not appreciate it at that time due to the anger they feel but when they cool off steam, they will eventually do. When someone is angry, they do not want to listen to anything anyone says at that point. This is because anything you say might offend them more. 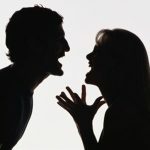 So to appease an angry partner at the time he or she is upset, do not say anything but just keep quiet. When you do not say anything, there will be no additional words spoken to offend him or her. When you keep quiet, you are allowing your partner voice out his or her emotion and this sometimes helps in letting them cool off. When you are mute, his or her anger would eventually subside. When you apologise sometimes, it may not be effective and when you notice it isn’t working, know that it is time you leave him or her alone for the anger to drop. To appease an angry partner, you may need to just calm down. This is because anger has a way of transferring from one person to another and if you are not careful, it may happen to you. Why do you think people sometimes exchange blows when they are angry? If both of them get angry at the same time, it can result in a fight. This is why you the offender should calm down so that you can rub off on your partner. When he or she sees that you are calm, it may just make them cool off. When discussing, some issues or topics may lead to a heated argument. 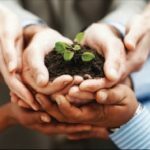 If you are sensitive enough to know when it is getting aggravated, you should try to change the subject of discussion. This is a way to appease an angry partner especially if you switch to a much lighter discussion like jokes or stories to make you laugh. After laughing it off, you can then settle. To appease an angry partner, you should ensure you don’t let the anger move to the next day. No matter how angry your partner is, do all you can to bring him out of that anger before it worsens. You will be doing him or her lot of good by trying to relieve them of their anger. If your partner sees how apologetic and sympathetic you are towards what you have done, he or she may just feel less angered towards you. If you feel sorry from the depths of your heart, it should show in your actions towards him or her. 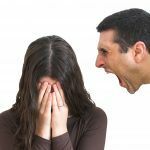 The tips in this article are various ways you can appease an angry partner. In what other ways do you think you can appease your partner when next he or she is angry?